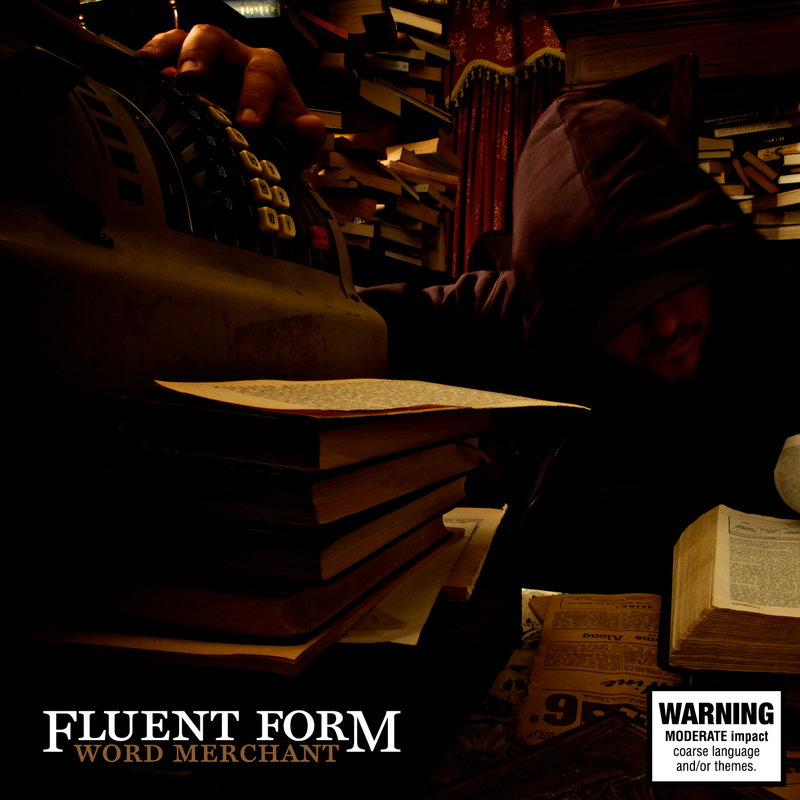 True paragon of Melbourne’s hard-hitting hip hop scene; Fluent Form, continues to stay true to his namesake with new release – Word Merchant. Since releasing debut LP The Furnace in 2009, the first official release out of powerhouse independent label Crate Cartel, Fluent has gained much recognition and respect amongst his peers and industry alike. In between albums, Fluent Form has toured the country; penning guest verses for some of Australia s finest emcees including Bias B, Dialectrix, Ciecmate, Bigfoot, his fellow Crate Cartel label mates, and many more. He has opened for, and shared the stage with international heavyweights such as Ghostface Killah, Ill Bill, Chino XL, Masta Ace and DJ Premier. Word Merchant, Fluent’s most diverse work to date, exhibits the unrelenting and complex flow the Melbourne emcee is renowned for. Fused with Geko’s cohesive yet varied range of compositions, the two expertly bring each track together to express the subject matter vividly. A strategically selected line up of guests feature on the album, each one bringing their own unique sound to the mix. Jam-packed with heavy conceptual tracks like Judas Iscariot, Default Options and Jeezebel’s Conquests, and contrasting with tongue in cheek playful numbers like Riot and Cloud Of Dust, Fluent flexes his storytelling abilities notably in Handshakes, and shares insights from a troubled mind in Gravity and When I Know. Word Merchant is a personal and at times confronting body of work sure to further confirm why Fluent Form is one of the country’s most exciting talents. Next Post Competition: Are you ‘Marked for Death’?